Finally, The Rock HAS COME BACK… home. Yes, the People’s Champion made his epic return to WWE Monday night, and Anaheim, California almost imploded in on itself at the epicenter of Honda Center. It was a great moment to be a wrestling fan; I marked out like I was 12 years old again, and it felt good. 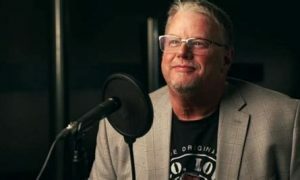 The WWE produced yet another feelgood moment, maybe the trump card of those kinds of moments, a culmination after giving us events like Bret Hart and Shawn Michaels reuniting, Michaels’ retirement speech, the forming of the Nexus, Daniel Bryan winning the US Championship and Miz cashing in his Money in the Bank briefcase to become WWE Champion. While it was great TV and even better wrestling theater, the attention now turns to how Vince McMahon and WWE will follow this up. Yes, Rock will be around until WrestleMania, maybe even longer. Ratings will go up in the short term, and they just guaranteed at least another 100K buys for WrestleMania, AT LEAST. This short-term spike in business will be welcome for WWE after taking a few years of slumping right on the chin, but what’s going to happen when Rock has to go film another movie and leaves again? What’s going to happen when Undertaker inevitably retires to live the glamorous life of a MMA manager, or when Triple H leaves the ring to take over for McMahon in the front office? Will that spike go away, or will they use this time to recapture some of that lost audience, build new fans, and use guys like Rocky, Trips and Taker not only to thrill fans at the biggest event on the wrestling calendar, but also pass on the torch to legitimize guys like The Miz, Bryan, CM Punk, Kofi Kingston, Sheamus and Wade Barrett? Furthermore, will that torch finally make guys like John Cena and Randy Orton shine even brighter than they do right now? As much as I don’t want this moment to end or think about what’s going to come next, I’m only a fan. I’m supposed to live in the moment and bask in the warm glow of what wrestling should be. However, for a guy like McMahon, who has this golden opportunity to make his company even more relevant in the mainstream against the burgeoning sports entertainment behemoth known as UFC, he has to have a plan in place. It’ll be too easy to have Trips and Taker retire without putting people over and giving them a proper platform to entertain an audience. It’ll be way too easy to have Rocky stand over both Miz and Cena at WrestleMania 27 after giving them Rock Bottoms before leaving again. What will be trickier will be using the star power that all three, mostly and especially The Rock, have to create a new breed of stars. Thankfully, The Rock had proven before he left to become a full-time actor that he could share spotlight and give guys a rub. Who was more giving a wrestler than Rocky in his heyday? I mean, the guy jobbed to Hurricane Freaking Helms at one point, and it didn’t hurt his heat one bit. He was a guy who truly got it when it came to how the wrestling business should work. 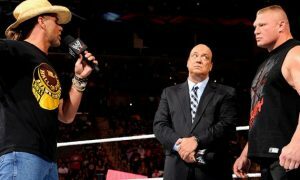 I have no doubts that his intentions aren’t to glom spotlight for himself, but to help put Cena and Miz onto that next echelon of stardom. But will McMahon’s vision be the same as Rock’s? Personally, while I have my doubts, I think his intentions are true. You see, with everyone retiring or getting hurt or leaving on hiatus, McMahon is left in a bind with new stars. I think he wants to create them desperately, but desire and execution are two different things. We’ve seen how ham-handedly the WWE has tried creating new stars in the last couple of years, and there are severe, severe doubts as to whether they’ll follow through with this. However, they desperately need to. My Facebook and Twitter both blew up huge with people who hadn’t watched in years getting intrigued and tuning in. Yeah, that’s anecdotal evidence, but they found that perfect hook to bring people back who’ve been away. Brock Lesnar wasn’t going to do it. Steve Austin wasn’t going to do it. Bob Barker, Justin Bieber, Hulk Hogan, Sting, Ric Flair or anyone else in the world wasn’t going to do it. 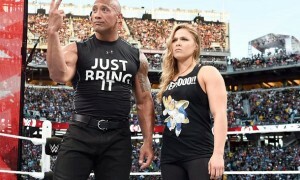 The Rock was the pitch-perfect choice to host WrestleMania and to carry that overrun on Monday. They hit a grand slam home run, but they need to follow up. Rock’s not sticking around forever. Miz and Cena? Well, they aren’t either, but comparatively speaking to Rocky, yeah, they are. These are the guys who need to be built up as a result of Rock’s appearance here, and if they are, well, the WWE can bank on a return to salad days. And I think we can all agree, that would be a good thing for the business and for all of us as fans.